A paste wax leaves behind a solid protection and a great shine! If you are looking for a paste wax with durability and shine, look no further then the Meguiar's Ultimate Paste Wax! This easy to apply synthetic polymer wax features Meguiar's Thin Film technology, which makes the wax incredibly easy to apply. We do not recommend waxing in direct sunlight, however this wax has been formulated to not only apply easy, but apply with ease even in direct sun! After application you will be left with an amazing layer of protection and that deep gloss we all look for in a wax! 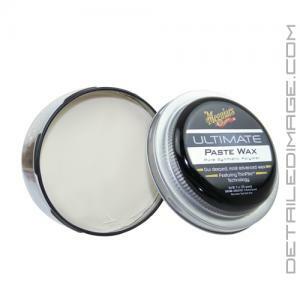 If you do get any on your trim while applying, no worries, Ultimate Paste Wax will not leave behind any white residue! This wax is also formulated with Meguiar's Hydrophobic Polymer Technology, which will reduce surface tension so that water beads off your paint with ease! 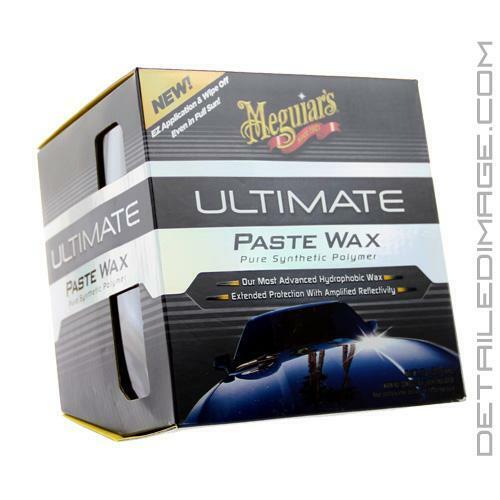 If you are looking for a great all around synthetic paste wax then give the Meguiar's Ultimate Paste Wax a try today! Meguiar's ThinGilm technology - Effortless application & wipe-off, even in full sun! Meguiar's latest Hydrophobic Polymer Technology reduces surface tension - Water beads & rolls right off. Maximum protection, durability, depth of color & reflectivity. Perfect for all glossy & clear coats. Cross-linking polymers form our longest-lasting protective barrier, amplifying reflections for incredible depth & mirror-like shine. Meguiar's calls this a wax, but it is really just a polymer sealant. I use as base coat under a good Carnauba. Works great. 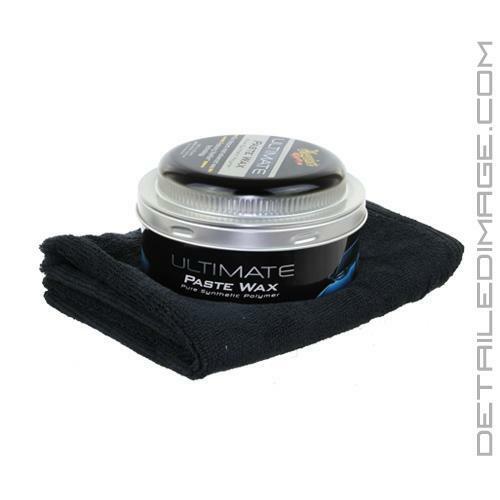 This is a must-use wax if you live in wet winter weather and have a daily driver that you want to look great. I live in Pac NW (40" of rain a year), and have Jet Black Nissan Rogue (bought new) daily driver which lives outside under carport. I work in wood products plant and get sawdust, rail car dust, chemical pollutant fallout daily, along with the results of two feral cats who sleep on the hood at night. After a year my paint looks great. I set up with ChemGuys BlackLight, then 2 coats of Jet Seal (heavy sealant) followed with CG 50/50 wax, topped with CG Blitz (high-shine light sealant) to "seal in" beautiful 50/50 gloss. Then followed with Meg's Ultimate Paste Wax by hand with MF applicators. 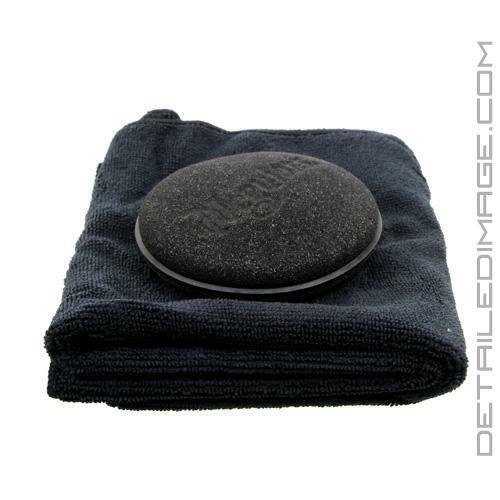 This wax has the absolute best water beading and lasts 6 weeks with good maintenance. Due to my high pollution situation I waterless wash 2 to three times weekly to keep surface clean, finishing with CG Synthetic Quick Detailer. This detailer not only produces a high shine, but is very slick and maintains the high water beading of this wax. I boost wax with Ultimate Quik Wax, or CG InstaWax (if I want the carnauba look). Seriously consider mating this wax with CG Synthetic Quick Detailer...other detailers like CG V07 have great shine, but diminish water beading. This is a great winter wax...but spend the extra time to buy and apply the Paste Wax version, and apply thin...less is more - this wax is well worth the effort!